Part 3 of my “Renovation, what we would’ve done different now” on the blog today, this time about our bathroom. Part 1 (our livingroom) can be found HERE, part 2 (our kitchen) is HERE. The truth is: we didn’t actually so a bathroom renovation. 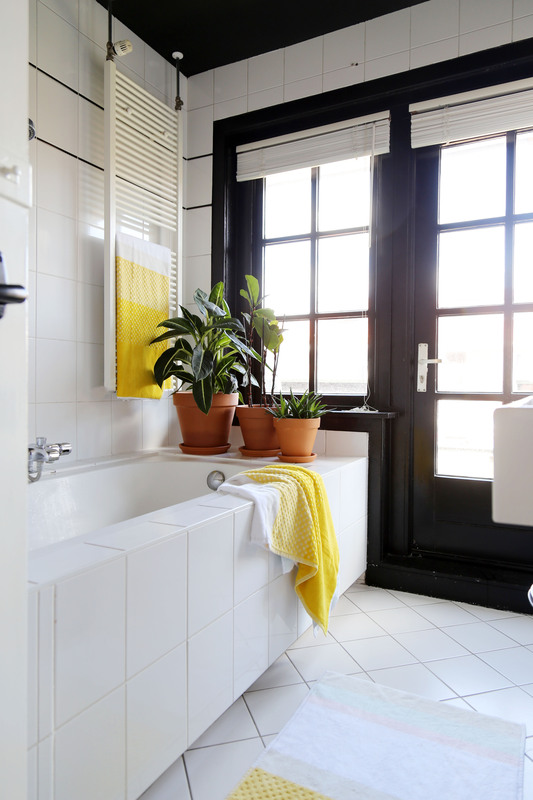 I can hear you think, “why then write a renovation post of your bathroom?”, well yeah, because I felt a little background information on our story could be helpful to others! You see, renovating is all about making decisions. And a lot of these decisions have to do with money. If we had all the money in the world, we would be done renovating this house. Probably wouldn’t even started buying this house in the first place, but that’s a whole other story. The truth is we don’t have all the money in the world so a lot of our renovation decisions are based on a budget. This is also the reason we postponed renovating our attic for 2 years, we had to save money. And I know this is the case for many people that are renovating, you simply can’t do it all at once. So back to our bathroom. When we entered this house the bathroom was basically the only room in the house that was livable. Everything else was neglected, dirty and broken. So you can imagine our choice was pretty simple: spend the money you have to make the dirty broken parts livable. And I fully support that decision to this day, but of course I would’ve loved a new bathroom. We did do some changes to make it a little more “us”. We painted the ceiling black, as well as the window frames. To this day I am very happy we did this, because this way it fits the rest of the house a little more. 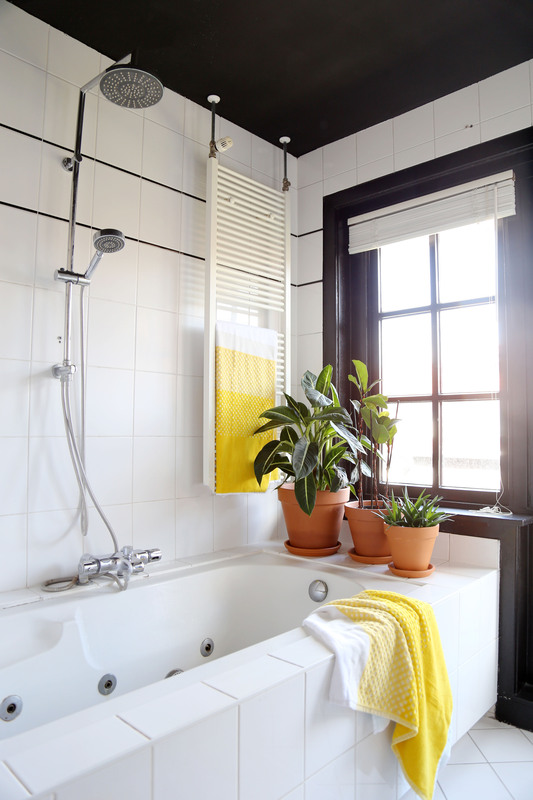 And some further styling advice: add plants to your bathroom and “dress it up”. Buy a pretty bath mat and some towels, and any bathroom will look a lot better after this.